Last-minute road trips. An unexpected detour. You never know what each day will serve up. It’s these unexpected twists that make life interesting. So be ready for it with a partner that plays like you do. Explorer Sport. 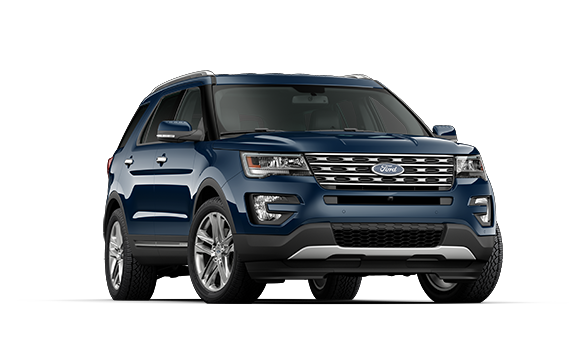 With its fully independent sport-tuned suspension and Intelligent 4WD with Terrain Management System,™ Explorer Sport welcomes what comes with an adventurous spirit and confident capability. Wherever you go, whatever you do, Explorer has your back. And that’s a good feeling. Adaptive cruise control and collision warning with brake support. This system helps maintain your choice of 4 preset gaps from the vehicle in front of you. It can also alert you to a potential collision and help by pre-charging the brake system if one is detected. Our Lane-Keeping System can detect lane markings and send vibration pulses to the steering wheel – and apply steering torque, if needed – prompting you to steer toward center. ¹) Available feature. Driver-assist features are supplemental and do not replace the driver’s attention, judgment and need to control the vehicle. ²) Lane-Keeping System does not control steering. Simple solution: Just turn the dial to match the scene outside. Our highly capable Intelligent 4WD with the Terrain Management System™¹ helps give you seamless shift-on-the-fly confidence. It’s one more way Explorer inspires adventure.